Xtreme Youth Alliance launches tomorrow! Some of you may remember back to my post that tried to help a friend of mine, Bill Scott, come up with a name for his new ministry. Well, he settled on Xtreme Youth Alliance and it launches tomorrow (Sunday) night on over 80 radio stations around the country. If it does not yet air on a station near you, you can always listen to it live at SpiritFM.com, 8:00 PM to 10:00 PM ET. The show will be somewhat like his previous ministry’s radio show, ZJAM, featuring the latest in Christian music, interviews, teen discussions, prizes, and more. The online ministry will also be similar, providing live chat with prayer partners, daily Bible studies, forums, one-year mentorship program and podcasts. However, with the backing of the American Association of Christian Counselors, this is only the beginning of a totally unique ministry. 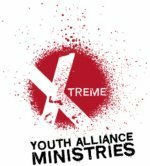 With the AACC’s support, Xtreme Youth Alliance has the ability to grow bigger, become more effective, take more risks and reach more teenagers than ZJAM could ever have dreamed. For now, my part in the ministry is organizing and sending out the daily Bible studies. I did this for ZJAM for three years, but I’m taking a different approach to it this time. Rather than writing all the Bible studies myself, I’ve recruited a team of teenagers from my past several youth groups who are mature believers and have a desire for God’s Word. Together, they’ll be writing the daily Bible studies for their peers, more like a Bible study by teenagers for teenagers. Any gaps that arise I’ll fill in with my own studies. So far these students have written excellent material. By the end of the show Sunday night, Bill expects to have several hundred students signed up for the Bible study and by the end of the year, I anticipate several thousand will be on the mailing list. I’m really excited to see the spiritual impact these teenagers are going to make on students around the world.